I recently made John Redwood MP very cross. He was so cross he accused me of making ‘a very unpleasant personal attack’ on him. He was mistaken. I did no such thing. I did, however, disagree very strongly with what he had to say about climate change. There was nothing personal in my argument. I would have made exactly the same points in an equally robust way to anyone sharing his opinions on the climate. He is by no means the only person to hold such views which is why I am troubling you with an account of what happened. The occasion was a live debate about the floods on Sky News. Here’s what Mr Redwood had to say when asked if we needed to do more to deal with climate change: ‘What we have got to do in Britain, a relatively small but relatively prosperous country, is to make sure we spend our money wisely and adapt to the conditions as they change.’ He went on to say, ‘Climate is always changing……so extreme events do occur from time to time …… the anti-flood authorities should be doing more to protect people’. This is the Marie Antoinette approach to climate change. It amounts to saying it’s not our fault the climate is changing, stuff happens so get used to it and hope the government will do more to protect people. We may be a small country but that relative prosperity Redwood refers to still makes us the sixth or seventh largest economy in the world and thus one of the larger carbon emitters. This struck me as being more than a little complacent so I said so. Our prosperity is precisely what is most at risk from a changing climate. The future growth for Britain’s businesses lies in the success of the rapidly growing urban populations of the emerging economies. Climate change is already driving up food and water prices in those cities thus driving down their ability to buy our goods and services. Furthermore, as the Governor of the Bank of England has pointed out, the current floods, as well as devastating people’s lives, could also put the recovery at risk. A changing climate means there will be more extreme weather events doing more damage to homes and businesses. Redwood’s advice was that have ‘to accept now that there isn’t the political will in the world to control manmade carbon dioxide’ and that we have no choice but to ‘adapt to circumstances as we find them’. Redwood is a former Cabinet Minister. Imagine the outcry if he had offered the same advice about stopping the proliferation of nuclear weapons or the spread of infectious diseases. It is a fundamental responsibility of our government to protect and promote the interests of sixty million Britons. As we are discovering the hard way, a changing climate, with its more extreme weather events, is very definitely not in our interest. It is both irresponsible and immoral for a politicians to suggest that there is nothing we can do about climate change. So I said so. This was not a personal attack on Mr Redwood but it was a forceful rebuttal of his view of our national interest. As it was, I was even more dismayed by his ignorance. ‘Climate is always changing’ he said, ‘the climate changes for all sorts of reasons, I mean volcanic activity, the jet stream, water vapour in the atmosphere, cloud formation and the sun’s cycles as well as man-made carbon dioxide.’ This is not true. The climate has been remarkably stable throughout the course of human history. The boundaries of that stability are well understood and we are now breaking them. It is the weather that is always changing. Many factors, including those mentioned by Mr Redwood, do indeed influence the way in which the weather changes. However, the extreme weather events we are now witnessing cannot be explained by those factors. Climate scientists have repeatedly pointed this out. It is only when you factor in the increasing concentration of carbon dioxide from burning fossil fuels that they can be explained. It was a famous Conservative politician, Edmund Burke, who pointed out that an elected representative owed his constituents his judgement, not his vote. 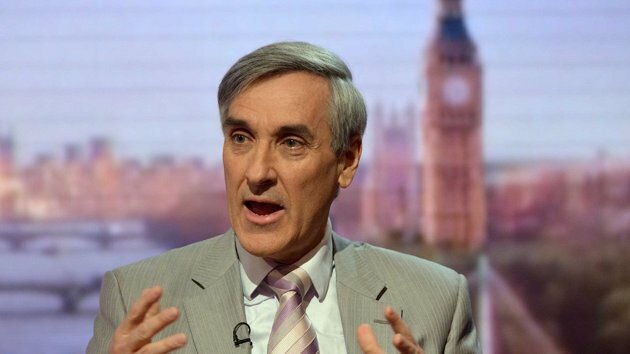 My challenge to John Redwood was that in being complacent and ill-informed about climate change he was in no position to offer his constituents good judgement. If this tale were simply about one erring politician it would not be worth your attention. But Mr Redwood is not alone. His reasoning, that the climate is always changing and there is nothing we can do about it, is repeated too often to be mere happenstance. It is quite clear that what he was really doing was just repeating a ‘line to take’ that is being aggressively promoted by the climate denying community. Their goal is as simple as it is destructive – to sow enough confusion in the public mind to prevent governments acting effectively to reduce our combustion of fossil fuels. Wittingly, or not, it is clear whose side Mr Redwood is on in this battle.